Comments: Has male and female flowers on same plant. Both the flowers and fruit are interesting. There is also a white flowering cultivar. A mature vine can become quite large and aggressive. Some grooming in the form of pruning is normally needed after vine becomes well established. 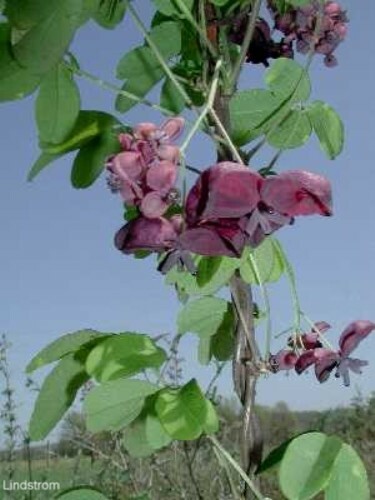 Flowering is normally present on vines that are several years old and they have become well established. There is also a white flowered cultivar.